You're new in Linux and not feeling comfortable with Linux?. if yes, then this post is created for you!. 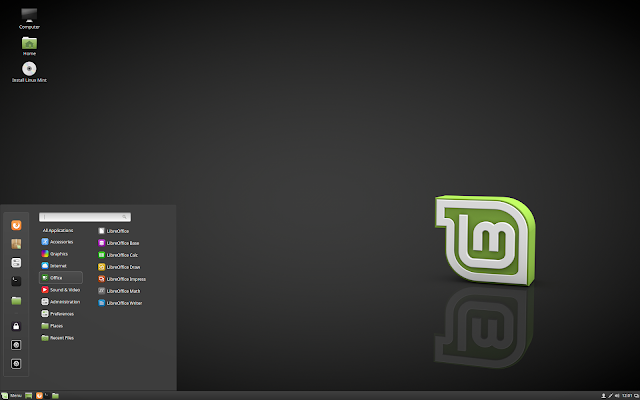 Linux is one of the best-operating systems in this world. because Linux is stable, secure, easy to use and best in all fields. but the only one problem normally faced by all new bie is Linux command line interface. I know almost all of you coming from more comfortable Operating Systems like Windows and Mac OS. and that's why you feel comfort with good looking graphics and pictures. and that's why many of you thinking that Linux command line interface is very difficult to use and hard to understand but friends, reality is, this is not true. With command line interface you can do your work more easily and fastly. Their are millions of professional peoples and companies, who likes command line interface instead of Graphic Interface. because with command line interface, we can do multiple operations easily and rapidly in command terminal. and other profitable reason of command line interface is terminal. yes! terminal! because for command interface we don't need to program any gui interface. Now let's move ahead and talk about linux tool. there are tons of command lines are present and with this command, you can do almost anything in Linux. Here, I am sharing here top 15 Linux command used by users frequently. This Command Changes current working directory to another provided path destination. In simple word, as its name suggests, with this command, you can change your current terminal working directory path with other directories. This Command copy files from one destination to another destination. very simple. Just like you do in windows For Copy Ctrl+C and for Paste Ctrl+V. This Command Provides You Complete list of available file and folder in directories and also files and folders available in folders. In Simple Words, This Command Provides You Complete Directory Structure. This Command Allow User To Find About Options And Usages Of Other Command/Tools provided in Linux. The Command Simply Provides You list of available files and folders in your current working directory. This command helps you to find and search files and foldres in local drive directories. Just like a search box provided in uppers-right sides of file explorer. This command moves your file and folder from one directory to another directory. This command works just like in windows you do with CTRL+X and CTRL+V. This Command Allow User To Create New Directories means new folders.With the help of this command, you can create new directories anywhere in local drive of your system. This command provides you user manual of other commands. yes! if you don't know about any command then this command can help you. this command will provide you user manual of other commands of linux. nano (Nano Text Editor Command). This command is used for a terminal based txt editor. if you want to create any small txt file then this command can help you. because with this command, you can use terminal based text editor very simply. This command allows the user to remove any directory. This command works like a delete folder command. you just need to provide a path of the directory. This Command allows user to remove any file. Only file!. This Command works like a delete file command. you just need to provide the path of the directory. This command simply allows the user to create an empty file. means with this command you can easily create new empty txt files, empty doc files, empty .html, .xml, .php and many other also.